Mr. Dixon’s practice spans a wide range of litigation in federal and state courts at the trial and appellate levels and before arbitral tribunals. 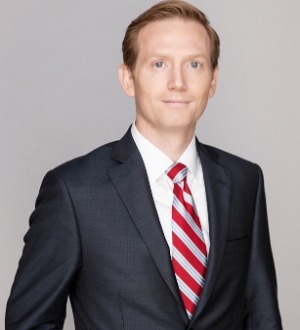 He focuses on complex business litigation, intellectual property litigation, securities litigation, international arbitration, and other high-stakes commercial disputes. Mr. Dixon also has extensive experience with internal and government investigations. Mr. Dixon has represented clients across a broad spectrum of industries, including Western Digital, T-Mobile, Southern California Edison, Amgen, Allergan, Waste Management, and Masimo. During law school, he served as an editor for the The Georgetown Law Journal and was elected to the Order of the Coif.In addition to his practice, Mr. Dixon serves on the boards of the Federal Bar Association of Orange County and the Public Law Center, a pro bono organization that provides legal services to low-income and vulnerable residents of Orange County. He is also active in providing service in his community.